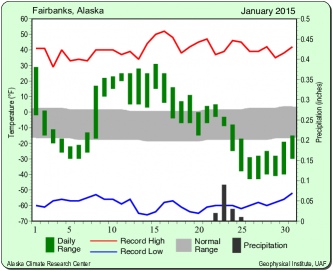 March in Fairbanks means long sunny days! The recent snow and cold weather has allowed our great Birch Hill groomers to create awesome corduroy with deep classical tracks. Enjoy the lovely trails but don’t wait too long to sign up for the Sonot Kkaazoot. Entry fees go up after 5 p.m. this Friday, 20 March 2015. So make the commitment (and save money) by signing up for the 2015 Sonot Kkaazoot now. Just click on the “register” tab on the top of this blogsite. 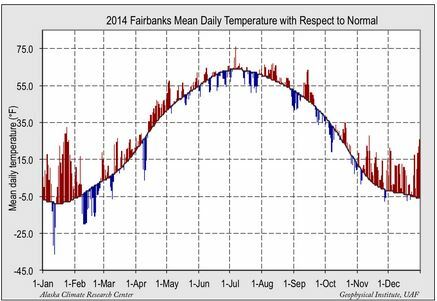 Although two recent Nordic Ski Club of Fairbanks events have been postponed due to cold, 2014 was the 4th warmest year in Fairbanks in over a century. 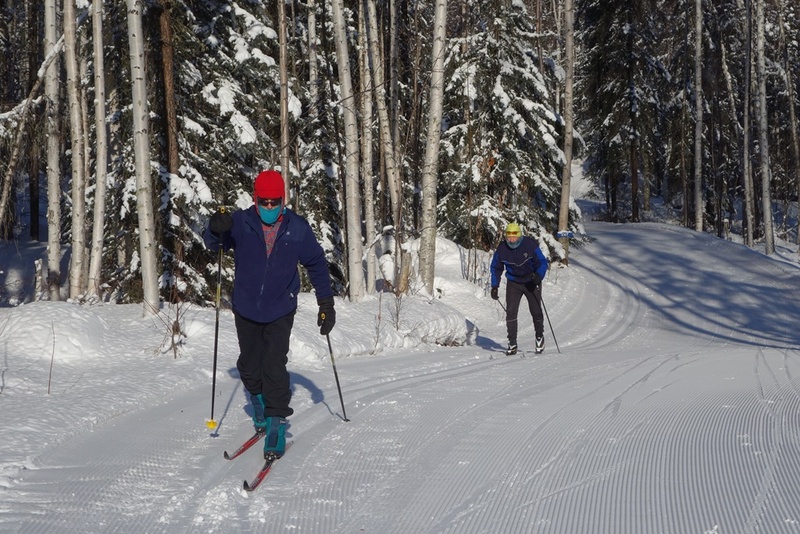 Nordic skiers in Fairbanks are just not acclimated yet. Look at how much warmer (red bars) we’ve been than normal this winter. Also, remember we had a cold dip last January as well as a colder than normal February. 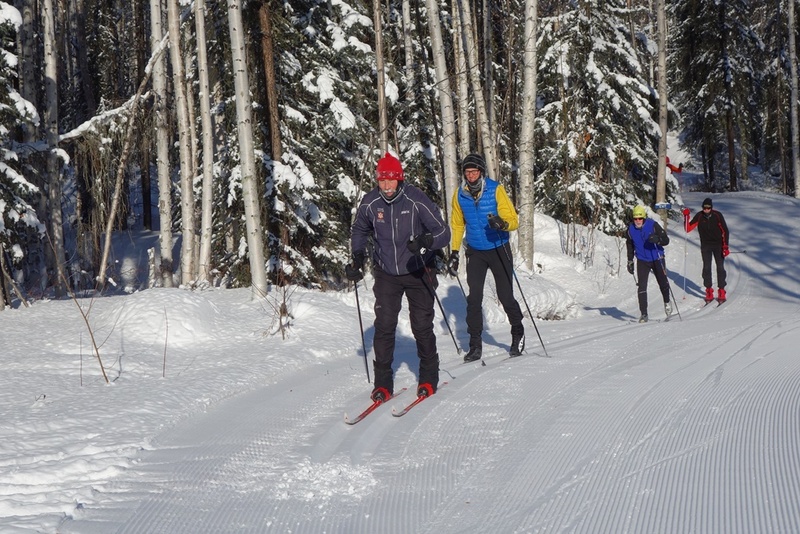 We should embrace our cold because our ski trails are snow-covered, and they won’t be melting soon. This cold weather is also good news for skiing on the Chena River this winter and spring.